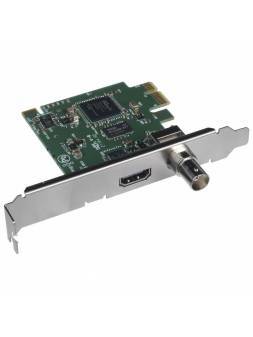 The Blackmagic Design DeckLink Micro Recorder is a PCIe slot capture card with both SDI and HDMI inputs for capturing uncompressed 10-bit video from a camera directly into your computer. You'll be able to ingest footage as the camera's recording live or from a playback of the camera's recording. The inputs are active, so once you plug a cable into them, they'll begin functioning. This card automatically switches between SD and HD, so it'll be able to handle all common video formats. The point of ingesting through a capture card is to bypass unnecessary compressions and hence data loss. 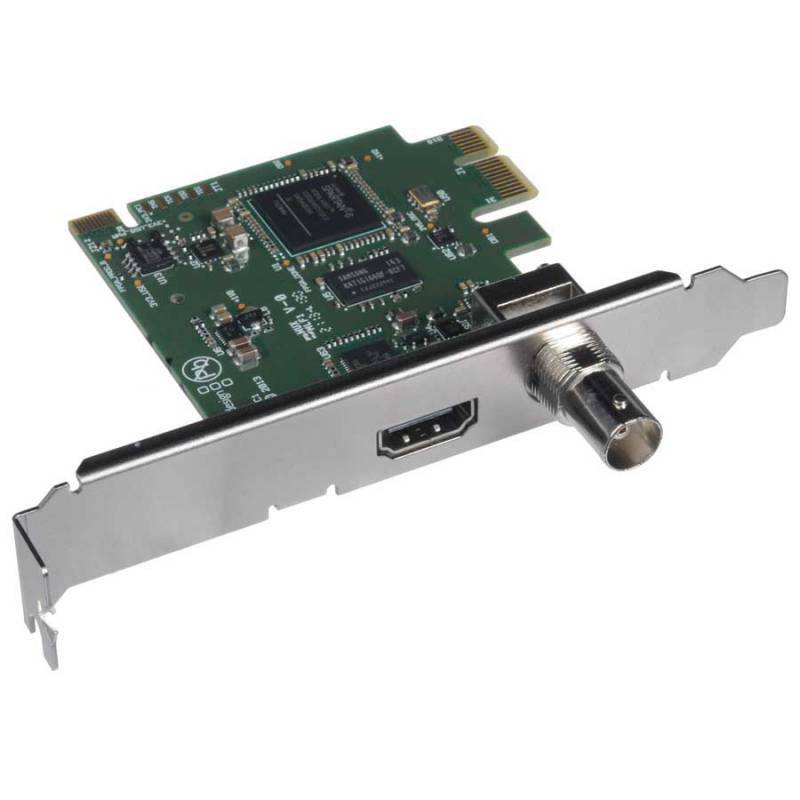 The card performs just one compression, upon delivery to your computer, where your footage gets encoded into an edit-ready codec of your choice.